A few months ago, talented food bloggers Jennifer and Christine invited me to contribute a recipe to a slow cooker cookbook featuring easy, healthy, whole food dinners – and proceeds would go toward helping to fight hunger in our nation. No brainer – I was in! Since turning in my recipe, I’ve been eagerly awaiting the book’s big debut. And now, Where Slow Food and Whole Food Meet: Healthy Slow Cooker Dinners from Our Kitchens to Yours is here! More than 30 bloggers teamed up to create this cookbook chock full of health-conscious slow cooker goodness. The book begins with a treasure trove of tried-and-true tips for successful slow cooker cooking. And then there are the recipes, which are divided into five categories: Chicken Dinners, Viva Italia, Comfort in a Bowl, Food for a Fiesta, and Take-Out Night. Of the 35 budget-friendly meals, five are vegetarian, including my contribution. Which is … this! Basically, I love this recipe, and I hope everyone who buys the book and gives it a try will love it too. BUY the print version on Amazon. GIVE to Feeding America food banks across the country – they’re giving the ebook version as a free gift when you donate here. SUBSCRIBE to Kitchen Treaty! For a limited time, when you sign up for the Kitchen Treaty newsletter, I’ll send you a link to download your very own free copy of the ebook. ENTER the eCookbook giveaway by leaving a comment below. I’ll randomly choose two entries to receive their own free copy of the print cookbook! The giveaway is sponsored by San Miguel Produce, Grimmway Farms, and Old Oak Farms by RPE Produce. And be sure to visit all the participating blogs, linked just below, to enter their giveaways too. And guess what else I – and many of the other participating bloggers – are giving away?! 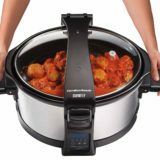 A Hamilton Beach Set & Forget® Programmable 6-Quart Slow Cooker! For even more giveaways and fun stuff surrounding this super-cool cookbook, be sure to visit Christine and Jennifer‘s blogs. 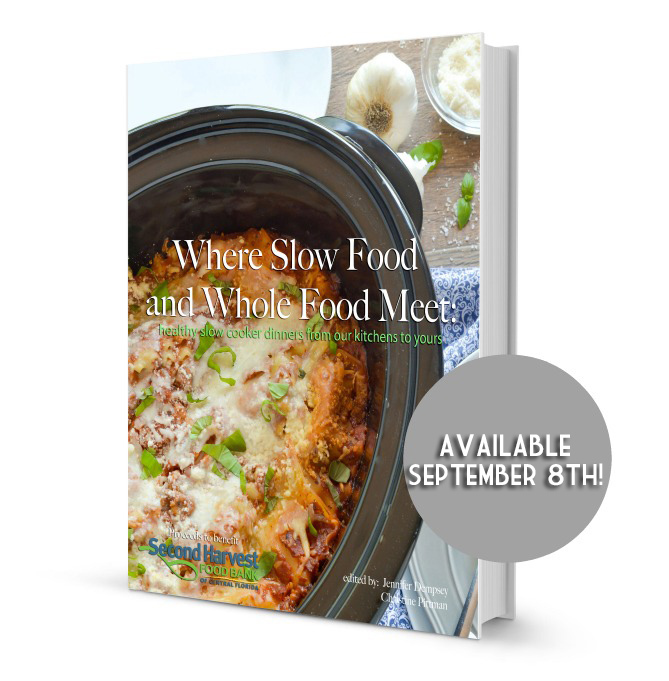 (1) of (2) print copies of Where Slow Food and Whole Food Meet: Healthy Slow Cooker Dinners from Our Kitchens To Yours. Giveaway ends 11:59 p.m. September 30, 2014. Winners will be drawn randomly. Restricted to residents of the United States. These are the bloggers who also participated in the cookbook, along with the name of the recipe they contributed. Be sure to click through to enter their giveaways, too! 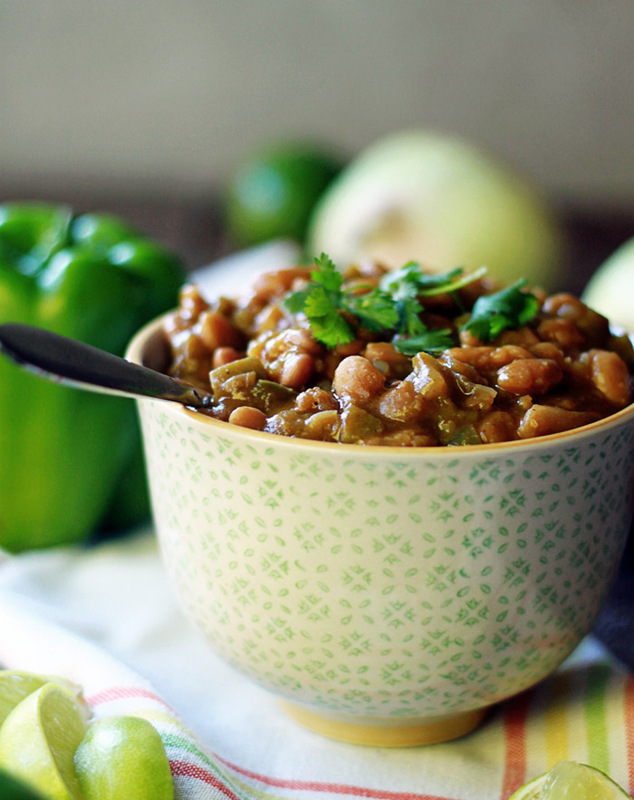 Love using the slow cooker, especially now that winter’s coming! All favorites of mine – you have great taste! 😉 Thanks so much for the nice comment and thank you for visiting Kitchen Treaty! I hope you like the recipes as much as we do. i just found your blog and i love it. i am not a vegetarian but i love veggies. i love slow cooker recipes and whole food. i am thankful for your blog and am eager to start cooking for my family and sharing with friends. i would make great use of that new crockpot. thanks.